Come share in our feel-good Bollywood fusion while ticking off your fitness goals. Our 6 week dance course for adults gives you the chance to learn from our Artistic Director Ramona, with guest teaching from other company members. We also have courses for 6-12 year olds, for budding Bollywood stars ready for some energy-burning fun. We haven’t locked in dates for our 2019 Adults’ Bollywood courses yet, so if you’d like a heads up, leave your details below. Are you interested in your little ones joining Bollywood Dance classes for kids aged 6-12 years old? Enter your details if you’d like to know when we run our next Bollywood course for adults. Thank you! We will let you know when we are running our next adults’ course, once we have dates booked in. Enter your details if you’d like to know when we run our next Bollywood course for kids. Thank you! We will let you know when we are running our next kids’ course, once we have dates booked in. Each class runs for 1 hour and starts on time, so please come early so you don't miss a beat. 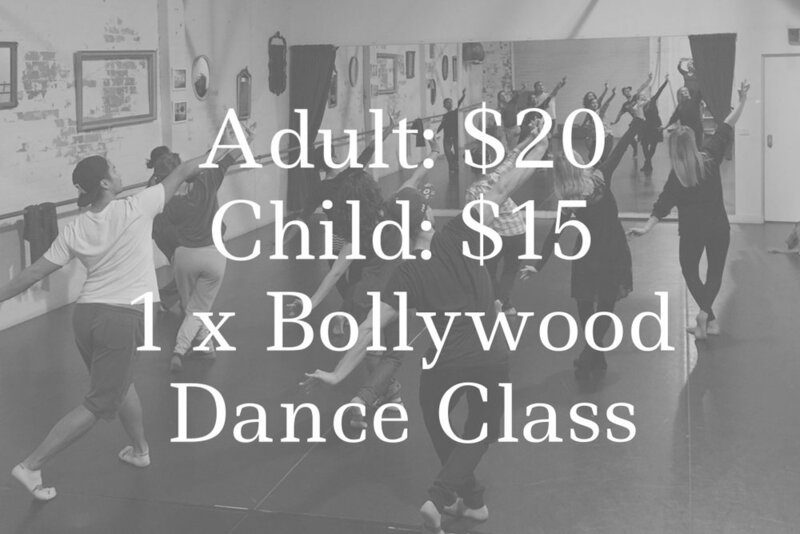 You'll warm-up with some popular Bollywood dance steps and work up to a routine that you can showcase to your friends and family during the last class of your course. To ensure everyone enjoys themselves, each class will cover some of the basics of Bollywood dance, offering you a feel for the style – even if it's your first time. It's important you feel comfortable so please wear clothing that allows for movement. Normal workout clothes are fine, but please feel free to style yourself with Bollywood bling to get in the mood. Bollywood is best performed with bare feet, but you can choose to wear sneakers if you prefer. It's a good idea to bring water so you can stay hydrated while you work up a sweat. If you'd like to have Sirens Dance teach a Bollywood dance workshop at your event, club or dance school, then we'd love to hear from you at enquiries@sirensdance.com.au or call Ramona on +61 417 691 748.